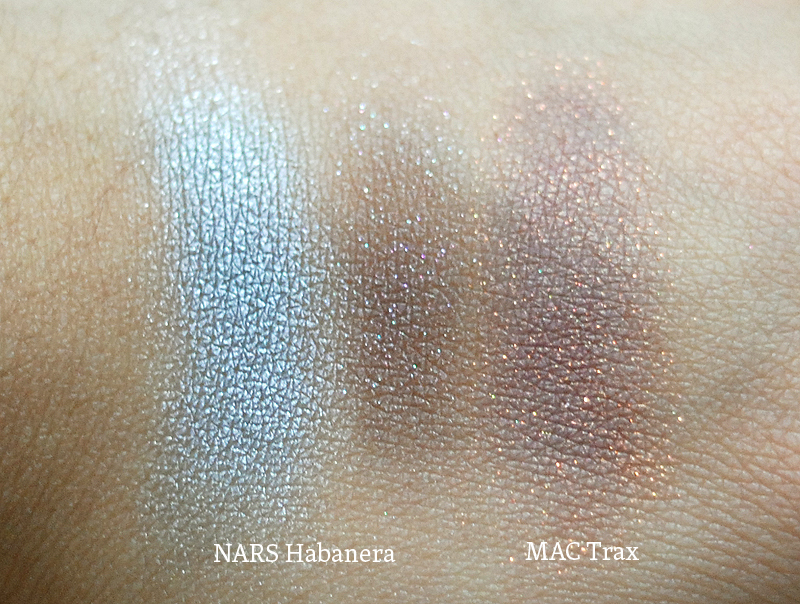 NARS Habanera is technically my first duo eyeshadow purchase, and I say technically because I bought two of these babies in one go, the other color being Paramaribo. I’d swatched this about six or so months ago, but I was hesitant to get something so glittery, so I settled on getting a trio instead (Ramatuelle). As is the case with “things I don’t buy but really, really want,” I have often thought about this duo, going as far as revisiting the same NARS branch and swatching it over and over again. The lighting in the store accentuates the glitter, and I keep saying “No, it’s way too glittery,” but alas. My resolve to “get something else” broke, so now we are here. The question is, of course, Is it worth it? Habanera is a duo that pairs two obvious-but-also-not colors together. 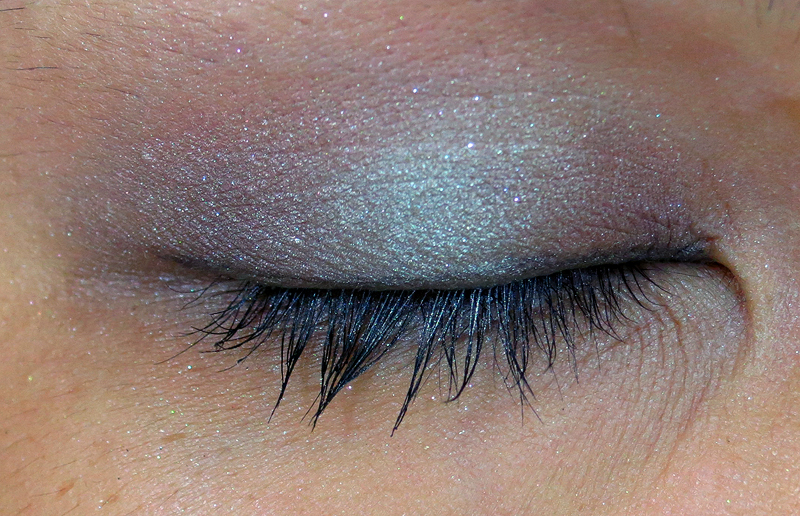 The left side of the pan is a frosty mint green that seems to have some hints of silver and, at turns, ice-blue. It’s a smooth, creamy color that applies so well and is extremely pigmented. The right side is a hyper-shimmery charcoal lilac. 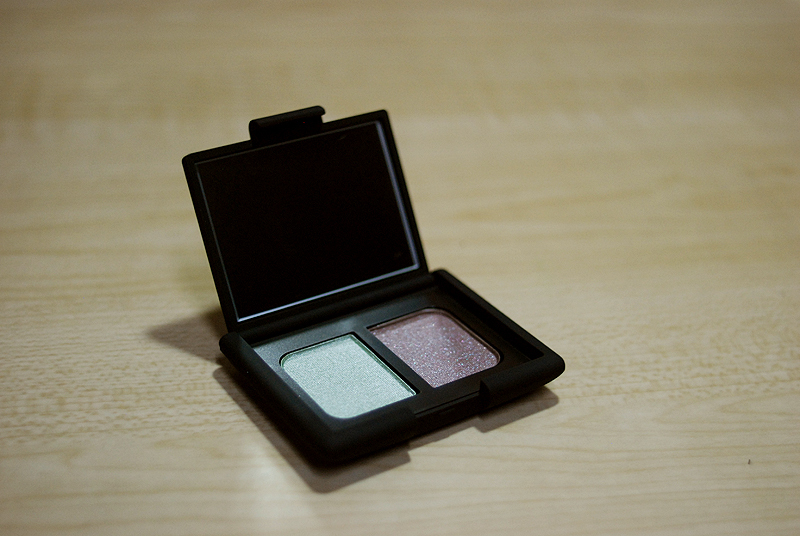 This shade is what kept me from getting it… It just glitters so much! 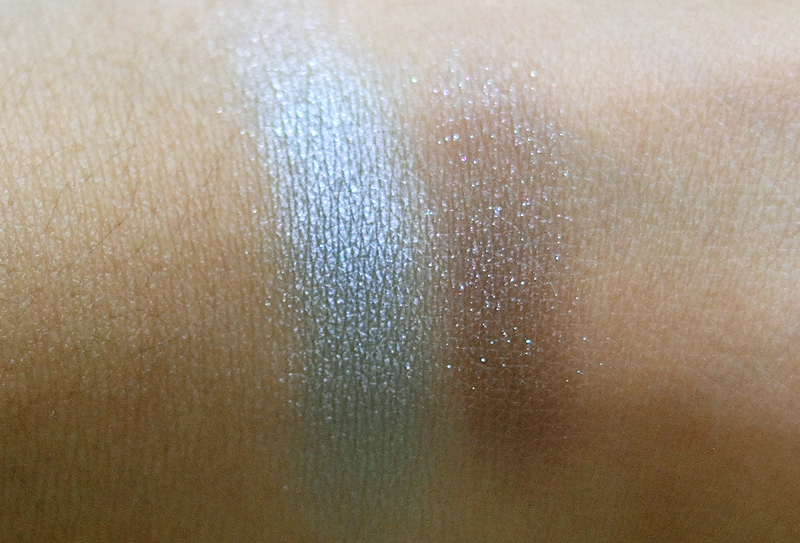 When I swatched it on again, the texture reminded me of a velvet MAC shadow I recently got, Trax. However, when I swatched Trax next to it, the latter was a little bit more vibrant. At least, in terms of color. 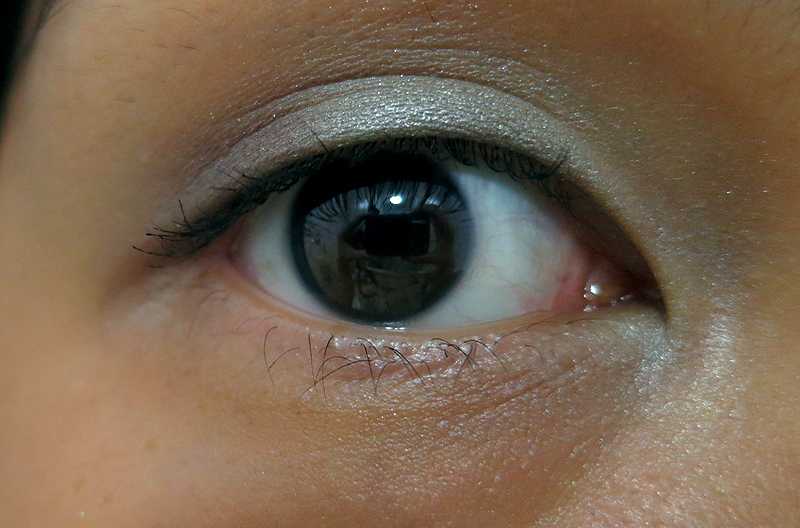 On my skintone, the purple shade translates as a bit grey-brown, which I luckily like as well. Better still is that they look quite amazing together, so yay. I think I know how to wear it for a day look, but I’m eager to try this tutorial by Gunk Fury out, for a Habanera smokey eye. I just have to figure out the best way to wear this combo, and I think I will be in love with it for a long time. VERDICT: Great, exciting color combo that’s great for day and night. Would purchase this again? I haven’t worn this all that much, since I just got it, but with all the looks I could do with it, I probably would if it ran out, which remains to be seen. How much? Php 1750 each duo (two colors) for 0.14 oz. Thanks Tara! 🙂 Hope to see you around here. I’m so glad there’s someone I can talk to and ask about makeup!